The flat path is easy, but for the inspired there is a spirit that kindles a desire to climb higher. Welcome to Western Kentucky University (WKU), home of the Hilltoppers. Our hilltop campus is a place of beauty and friendliness. WKU is located in Bowling Green, Kentucky, a city with a population of more than 60,000 approximately 110 miles south of Louisville and 65 miles north of Nashville. WKU's Regional Campuses are located in Glasgow, Owensboro, and Elizabethtown-Fort Knox. Schedule a tour or visit our virtural tour to view our distinctive landmark on a hill overlooking the city. WKU’s undergraduate division offers one hundred one academic majors that lead to the baccalaureate degree and 111 academic minors are available. Nine associate degree programs are offered along with thirty-seven undergraduate certificate programs. The Graduate School at WKU offers education in 104 degree and certificate programs. The University confers a wide range of Master degrees along with a Doctor of Education, Doctor of Nursing Practice, Doctor of Physical Therapy, and Doctor of Psychology. WKU also offers non-degree Rank I and II and certification-only teacher education programs. Hilltoppers know that life at the top is worth the climb. Each year, WKU students earn prestigious academic scholarships and national recognitions. Some of these recognitions include the Harry S. Truman Scholar, Thomas R. Pickering Foreign Affairs Fellowship, Charles B. Rangel Scholars, Fulbright U.S. Student Program, Critical Language Scholarship, David M. Boren Scholarship, and National Science Foundation Graduate Research Fellowship. WKU was recognized on the inaugural list of Gilman Top Producing Institutions and “Priority Achievements” lists for institutions with the most diversity in overseas destinations and for sending abroad the most first-generation college students, racial or ethnic minority students and students studying in STEM fields. Benjamin A. Gilman International Scholarships are sponsored by the U.S. Department of State’s Bureau of Education and Cultural Affairs. For four consecutive years and five times overall, WKU has been named a top producer of Fulbright U.S. Students. For the 2017-18 year, WKU was tied for fourth place nationwide among master’s degree-granting institutions. Awardees either conduct independent research, study, or arts projects or teach English and American culture in up to 140 countries around the world for up to a year. During the 2017-18 academic year, WKU earned more than 35 top recognitions for academic programs. U.S. News reported WKU one of the top public schools and within the best colleges for veterans. U.S. News also ranked WKU’s MBA program #72. In addition, WKU was named #1 Value College in the Top Best Online Colleges in Kentucky. Nationally, WKU is in the top five most affordable online colleges for MSW Programs, Master’s in Education Technology, and Master in Teacher degrees. The WKU family extends to a large community of alumni across the world. Students have started their climb with us, then graduated moving on to become Grammy Award winning musicians, groundbreaking scientists and researchers, nationally recognized educators, successful entrepreneurs, Emmy Award winners, and entertainers in television, theatre, and movies. All of them began their journey at WKU. Western Kentucky University also maintains a long history of being a top school for journalism. WKU won the Hearst Intercollegiate Overall Award in 2018 and several years prior. In 2018, WKU also won first place for multimedia and photojournalism along with individual student awards. WKU’s College Heights Herald and Talisman won three Pacemaker Awards in 2017-18, the nation’s highest honor for student publications. The President’s Cabinet is comprised of the University President and senior administrators. These individuals report to the President and are responsible for working together to determine University policy and provide strategic leadership and oversight of all functions of the institution. 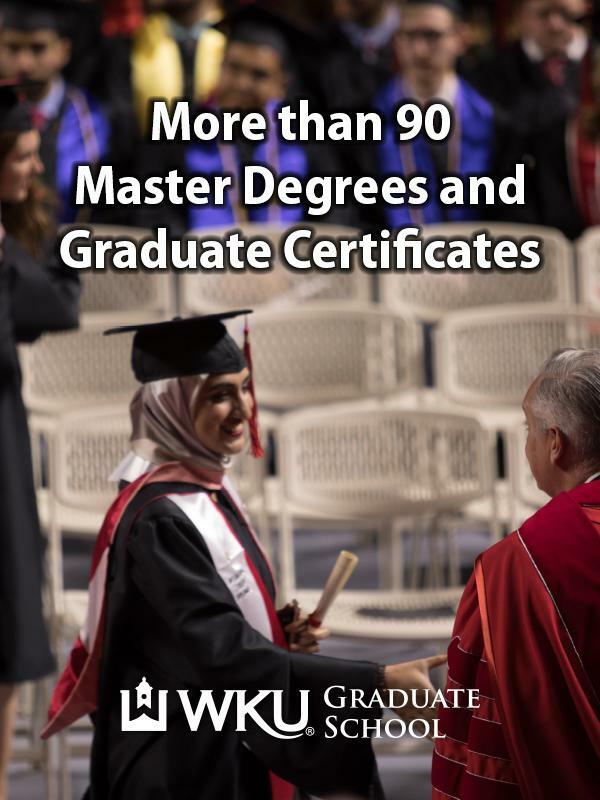 Western Kentucky University is accredited by the Southern Association of Colleges and Schools Commission on Colleges to award associate, baccalaureate, masters, specialist, and doctorate degrees. Learn more about our accreditations. 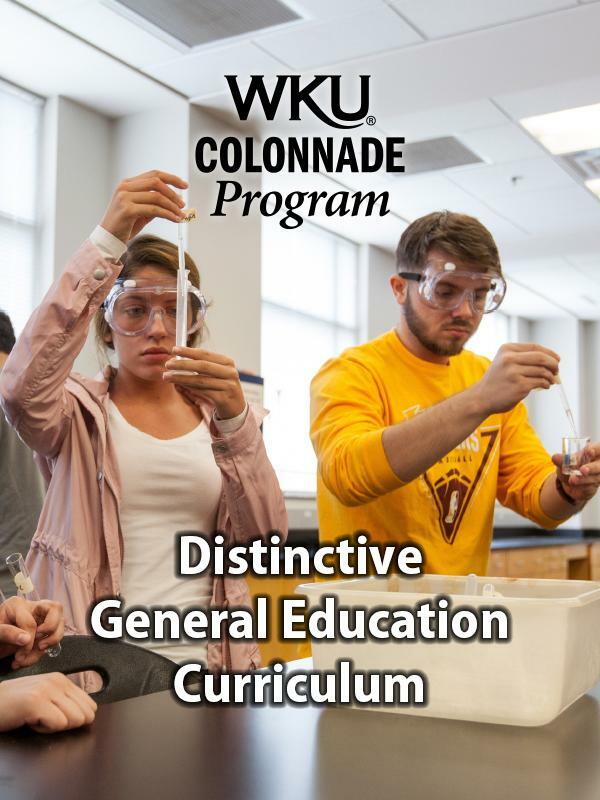 The Colonnade Program is the name of WKU’s distinctive General Education curriculum. WKU has adopted the Colonnade Program in 2014 to ensure that each student possesses certain academic skills, a breadth of human knowledge, and an appreciation for the diversity of ideas and perspectives that exist in the nation and world. Online Programs at WKU have been ranked in the top 5 by US News & World Report. 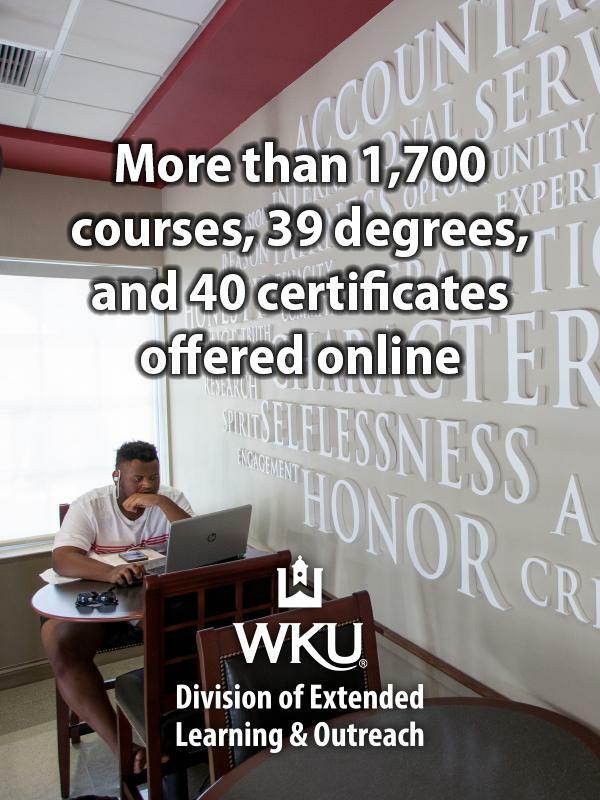 WKU Online provides access to 90 online degrees and certificate programs, including more than 50 associate, bachelor and master’s degrees. More than 1,700 classes are offered via web each year. Classes follow a term–based calendar. WKU is the home of the Carol Martin Gatton Academy of Mathematics and Science in Kentucky which offers a residential program for bright, highly motivated Kentucky high school students who have demonstrated interest in pursuing careers in science, technology, engineering, and mathematics. 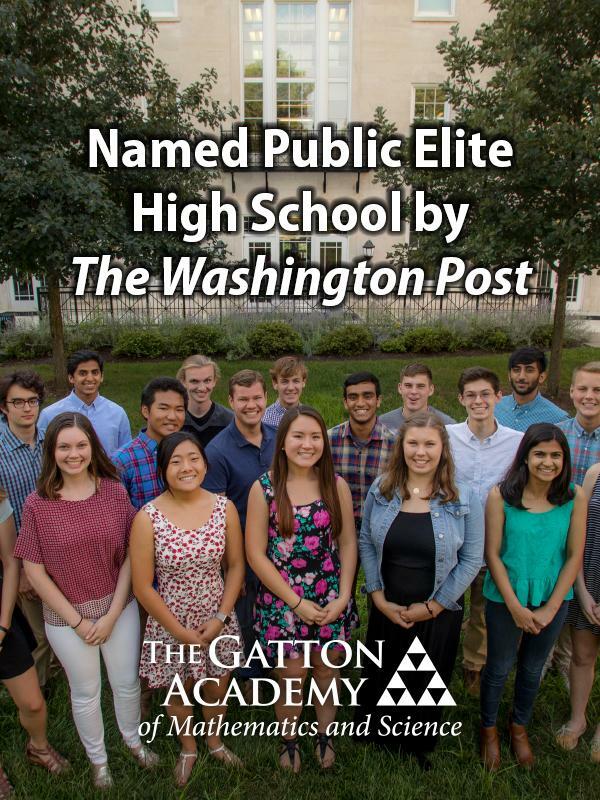 Gatton was named the top high school in America by Newsweek / The Daily Beast three consecutive years and has been named to The Washington Post’s list of top-performing schools with elite students for nine consecutive years. The Graduate School serves both as the point of contact for prospective and new graduate students and as a liaison between students and faculty members of all graduate programs. We are ready to share information and to offer further direction for graduate study in more than 90 degree and certificate programs. 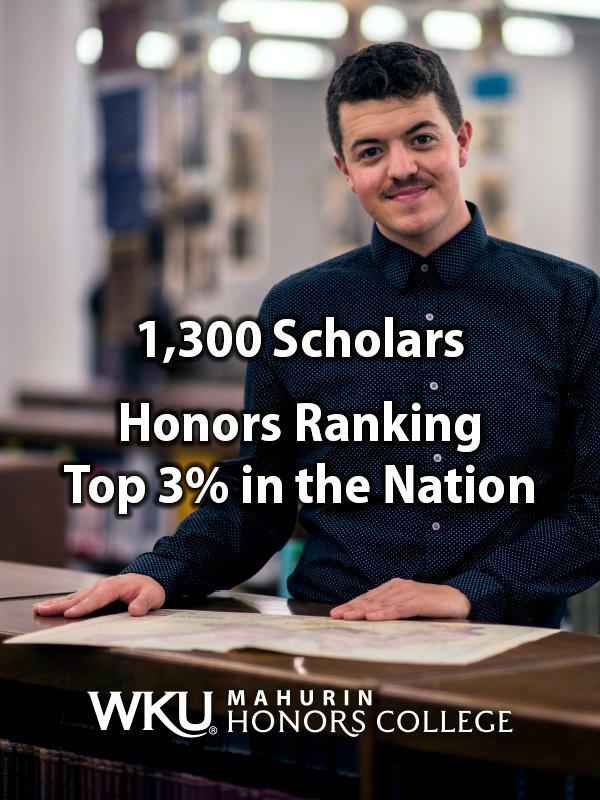 The Mahurin Honors College serves over 1,300 scholars, includes 14 administrative professionals and 7 faculty, offers over 250 Honors courses, and graduates over 200 scholars annually. The average incoming ACT/SAT score for freshman is 30/1300, ranking the College in the top 3% of the nation. The College continues its mission to attract the nation’s top students to WKU and to provide the intellectual and social community of a private liberal arts college combined with the diverse expertise of outstanding faculty and research facilities of a large public university. “I was recruited by 5 to 10 schools for soccer.